The artificial croton plant's numerous variegated leaves create thick foliage with beautiful splashes of red and yellow atop several trunks. 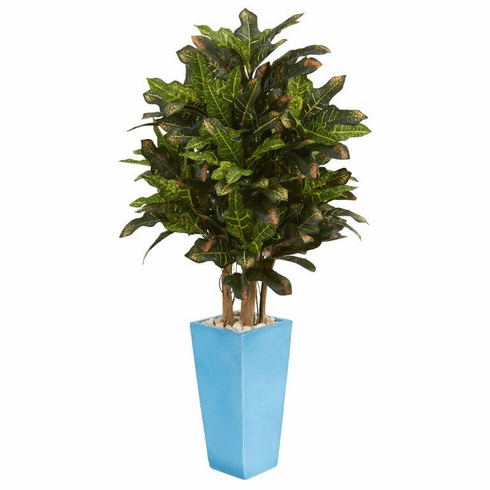 Crafted with care, this croton will add a splash of color to your kitchen or sun-room with its detailed leaves and included turquoise planter with river rocks. Use it on its own, or arrange it with a fern or hanging basket. Size (Including Pot) Height: 4 Ft., Width: 22 In., Depth: 22 In.